What’s up in 2019? – Lois Abromitis Mackin, Ph.D.
It’s a new year! I don’t do resolutions, but I have made some private and public commitments. I will definitely also be participating in conference and event livestreams–Rootstech, Southern California Genealogical Society, National Genealogical Society, the National Archives virtual conference, Genetic Genealogy Ireland, and the Board for Certification of Genealogists Reisinger lectures come to mind–and watching webinars. In conjunction with the trip to Chicago for the DAR Advanced Genealogy Workshop, a friend and I are planning a few days of research in Madison, Wisconsin, at the Wisconsin Historical Society. Also on my list is a trip or trips to Pennsylvania. I want to get to the Berks History Center in Reading and the Lehigh County Historical Society in Allentown. These have been on my list for some time, and it’s time to make these visits happen. (Rumor has it that there is a copy of an unrecorded Weaver deed in the LCHS library.) Perhaps my trip to Reading could include a side trip to Hamburg to visit the Reading Railroad Heritage Museum. If my children like the generational vignettes I wrote for the Neifert and Weaver families, I’ll start producing similar ones for my father’s parents’ families and the families of my husband’s grandparents. You can also bet that I will also chase promising DNA matches as they come up, and continue to learn about how to work with my husband’s new Big Y results. I have half a dozen teaching commitments already on the books. In fact, I’ve already started off with a Getting Started talk at Hudson Area Public Library in Wisconsin and will return there in March, May, and November. 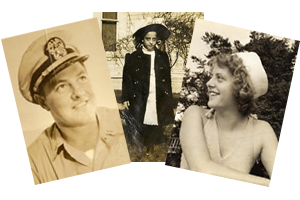 In February I will speak at the Minnesota Historical Society’s Preserve & Organize Your Family History Conference. In March I’ll speak at the Dakota County Genealogy Group. Last but not least, subject to final arrangements, in October I’ll be the featured speaker at the Wisconsin State Genealogical Society‘s Fall Seminar in Waupaca. All of these will be featured on the Appearances page of this website. I will also continue writing for The Septs. My publications will continue to be listed on my Publications page. My term as Registrar for the National Society of the Colonial Dames of America in the State of Minnesota continues through 2019. The Yankee Genealogical Society website development. And another volunteer activity depends on the outcome of an upcoming election!